93.7 CJNU (Nostalgia Radio 93.7) also known as CJNU-FM is an Oldies format station broadcasting form Winnipeg, Manitoba. CJNU 93.7 FM uses frequency: 104.7 MHz to bring to its audiences the best from 80’s, 70’s, 60’s, 50’s and beyond. Tom Dercola and Bill Stewart are the current President and General Manger respectively. CJNU is an asset owned by a non-profit organization Nostalgia Broadcasting Cooperative and was launched in 2006. In 2008 the radio flipped its frequency to 107.9 MHz as CRTC allotted the 104.7 MHz to a newly licensed commercial station however the ERP remained 50 watts. The English language community radio station was launched on 93.7 MHz with an ERP of 460 watts in Winnipeg on February 20, 2013 after the approval of CRTC. 126 hours of weekly content included 100 hours of locally produced programs, remaining was filled from different syndicated sources. The audience targeted by the 93.7 CJNU was 50 y/o and above. Welcome to The Best in Nostalgic Music with best singers and best songs. Listen Nostalgia Radio 93.7 live from Winnipeg, Manitoba. Wait as the stream loads. The programs sponsored include local and regional news, weather updates, discussions, commentaries, interviews, community announcements, podcasts and music: Jazz and Blues (20%), Folk, Pop, Rock, Dance, Country and Easy listening. The variety format station is available online with program guides, full schedules, staff/volunteers info, news, events, contents, Membership support, and much more. 93.7 CJNU is a home to Goldeyes fan as they call it “Winning Combination of Winnipeggers. You may also join Nostalgia Café and Currie’s Corner Online. Visitors can donate and explore more. 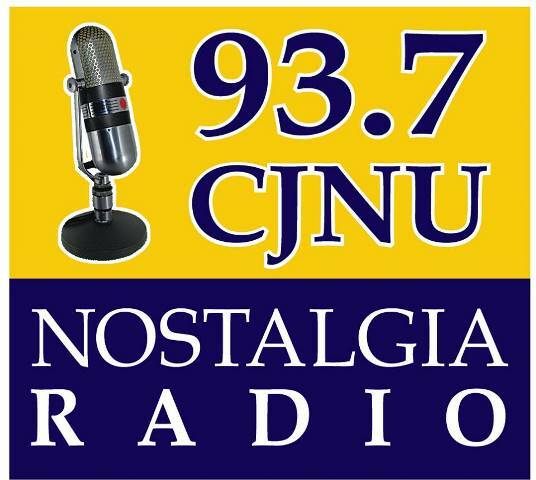 You can also follow the Nostalgia Radio 93.7 CJNU on Facebook, Twitter and SoundCloud. Here is the official website: 93.7 CJNU FM | Nostalgia Radio. The license is renewed until August 31, 2019 so listeners have pretty much of time and hopefully for many years to come after to enjoy the classics form the golden era.